The Yankees shouldn't stop at trading closer Aroldis Chapman. New York should undergo a more complete overhaul, and here's what it should do with every player on the 25-man roster. On Monday afternoon, the Yankees did something they had not done in 27 years: trade a star player in his prime in the middle of the regular season. It's too soon to know whether the deal sending closer Aroldis Chapman to the Cubs for four players will turn out as poorly as the trade that sent an in-his-prime Rickey Henderson to the A's on June 21, 1989. The three players New York got combined for 5.8 Wins Above Replacement in the years after the deal, barely eclipsing what Henderson did the rest of that season alone (5.1 WAR) in helping Oakland to a world title. That trade signaled the start of a rebuilding process that included the first of four straight losing seasons and the team's most losses (87) since 1967, but it would eventually lead to the Yankees' most recent dynasty, a run of four World Series titles and six pennants from '96 to 2003. New York doesn't intend to spend as long in the wilderness in the wake of the Chapman trade. In fact, according to general manager Brian Cashman, that move doesn't even indicate that the Yankees are conceding the current season, despite the fact that the non-waiver trade deadline is just six days away. “This isn’t a white flag,” Cashman said. “This one move doesn’t necessarily create a domino effect of selling, and it doesn’t prevent a domino effect of buying ... [we] could be buyers, we could be sellers, we could be both ... We’ll see where it takes us. I just think it was the right move for our franchise.” In this political season, that’s some pretty outlandish spin. • Verducci: Is Chapman the missing postseason piece for Chicago? Trading Chapman was indeed the right move. The Yankees cashed in a valuable impending free agent for young talent—including shortstop prospect Gleyber Torres and outfielder Billy McKinney—in a season that seems very unlikely to conclude with a playoff berth. According to Baseball Prospectus’ Playoff Odds, New York has just an 8.6% chance of reaching the postseason and a 5.1% chance of advancing to the Division Series, which they haven't done since 2012. Meanwhile, the Yankees have a roster loaded down with bad contracts and aging hitters. In fact, they have the oldest group of position players in the majors this year, according to baseball-reference.com's weighted averages. Maybe this should actually be "Sell, Sell, Cut." All three of these players are impending free agents, but while Beltran and Nova could be useful as trade bait, Teixeira has no use for any team, much less the Yankees. At 36, Teixeira is owed roughly $7.7 million in the last season of his eight-year, $180 million contract. He also has a full no-trade clause, so he has no value as a trade chit. That mirrors his value on the field, where he has been below replacement level on the season thanks to a .184/.265/.320 (57 OPS+) performance at the plate. 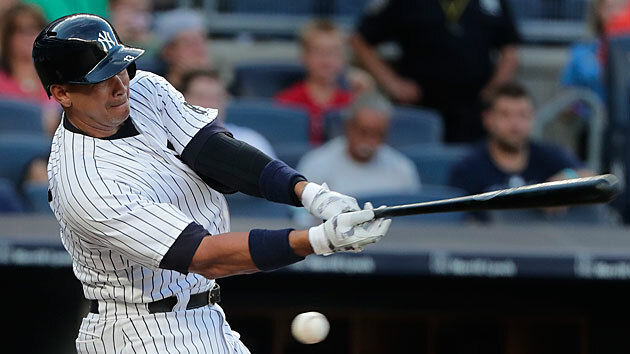 There is no future for the oft-injured switch-hitter in New York; the Yankees should release him and give his at-bats to a player who might actually be on their 2017 roster. Beltran has been by far the team's best hitter, with a 139 OPS+ that is 29 points better than that of his next-highest teammate. Even at 39 and as a defensive liability in rightfield, his bat should have real value on the trade market: He is a switch-hitter who has hit .308/.350/.556 with 21 home runs on the season and is widely regarded as one of the best postseason hitters of all time (.332/.441/.674 career with 15 home runs in 52 games). The demand for Nova is more uncertain. He is only 29 but not a player the Yankees are likely to want to retain beyond his free agency. Frankly, he's not a very good pitcher: He's homer-prone and below average both this season (91 ERA+, 4.84 FIP) and on his career (95 ERA+, 4.36 FIP). Still, with so many teams desperate for rotation help and Nova having posted a career-best 3.27 strikeout-to-walk ratio this season and a 2.66 ERA over his last four starts, the Yankees might be able to find a taker. They should take what they can get for him. Rodriguez has three strikes against him as a possible trade target: He turns 41 on Wednesday, has hit an awful .206/.256/.364 (64 OPS+) this year and is owed roughly $26.7 million for the last two months of this season and all of 2017. He potential trade value is limited even further by his checkered past of PED-related transgressions. Assuming New York can't deal him, it should give Rodriguez opportunities to play first base in place of Teixeira. That’s something the team has resisted since Rodriguez’s return from his 162-game suspension before last season—in part because he has not looked good in his limited exposure at the position—but it revisited the possibility earlier this month at his request. Sabathia has many of the same concerns as Rodriguez. He turned 36 last week, has a 7.46 ERA over his past six starts this year and, unless he's felled by a left shoulder injury between now and season's end, will have his $25 million option for next season kick in automatically. Add in the roughly $8.3 million he is owed for the final two months of this season, and that's a $33.3 million price tag on a pitcher who has posted an 86 ERA+ since the start of the 2013 season. Given Sabathia’s struggles, the Yankees would be unlikely to get much for him even if they paid all of his remaining salary. In fact, the salaries for both Rodriguez and Sabathia are sunk costs. For now, then, the club's best option is to get whatever on-field value it can out of Rodriguez and Sabathia, but only until their roster spots are needed for younger, more promising players. At that point, they should simply be released. All four of these players are in their age-32 season and derive the bulk of their value from their play in the field, or at least the positions they play on the field. The best of the bunch has been McCann, whose 104 OPS+ ranks as the second-best in the AL among catchers with more than 110 plate appearances. McCann's .234/.336/.426 line is a fairly typical performance for him at this stage of his career, and he is also an above-average pitch-framer, per Baseball Prospectus’ numbers. McCann’s contract pays him $17 annually through 2018 and has a $15 million option for '19 that becomes a player option if he remains the team’s everyday catcher, and also includes full no-trade protection. For the moment, he remains an asset. But with 23-year-old catcher Gary Sanchez, one of the organization’s top prospects, hitting .287/.338/.484 at Triple A over the last two seasons, now would be the perfect time to cash in that asset to clear room for the younger player. There is less pressure to move the others, all of whom are excellent defenders but poor hitters. Ellsbury’s contract—he’s owed more than $89.57 million through the 2020 season—seems likely to keep him in New York, but the Yankees should shop Gardner, who is owed $25 million for the next two years, including the buyout on his '19 club option. Gardner and Ellsbury are similar players—fleet-footed, slick-fielding, somewhat fragile lefthanded hitting outfielders—who have locked the Yankees into subpar production at two outfield spots. 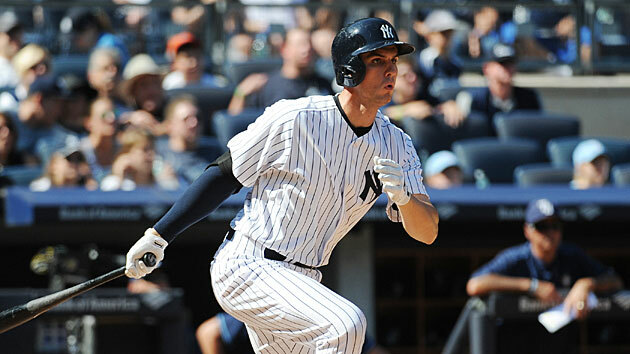 Trading Gardner could open up leftfield for an upgrade in the lineup. Headley, who is owed $26 million for the next two seasons, could be replaced, at least in the short term, by 25-year-old utility man Rob Refsnyder, who has hit .284/.366/.420 at Triple A over the last three seasons and is in need of a full-time position. Refsnyder is unlikely to blossom into as good a fielder as Headley, but he stands a strong chance of compensating for that with his bat, given the low bar set by the incumbent. With the exception of the 31-year-old Miller, these players will all still be in their 20s next year, and with the exception of Tanaka, none is likely to draw an eight-figure salary until 2018. That doesn’t mean they are all keepers, but with the possible exception of McCann, these are the Yankees’ top major league assets. Tanaka, who is 27 and signed through 2020, is New York's ace. Miller and Betances, the latter of whom is 28, are the team's dominant end-game relievers and under team control through 2018 and '19, respectively. The 26-year-old Gregorius is, at this point, arguably the Yankees' best position player—a slick-fielding shortstop who has posted a 110 OPS+ this season. Those four are the true core of this team and—barring a full-blown, multi-year rebuild, which has very little chance of happening in the Bronx—should remain off-limits at least until their respective walk years. Castro has once again been a disappointment and now seems less likely than ever to blossom in to the star he was once believed to be. Still, he’s talented, capable, young (26) and tied to a contract ($30 million guaranteed through 2019) that undermines whatever remaining trade value he might have. New York is best advised to stand pat with him, though it should also consider selling high on him should he have a strong first half in one of the three years remaining on his deal. As for Pineda and Eovaldi: Both are more impressive in theory than in practice, and both will be free agents after the 2017 season. Perhaps Eovaldi’s recent successful return to the rotation (12 innings, three runs allowed in two starts) can fool a desperate contender into sending the Yankees a worthwhile prospect for the 26-year-old fireballer. If so, they should leap at the opportunity. They should hang on to the 27-year-old Pineda, however. He had awful luck on balls in play early in the season (.390 BABIP in his first 10 starts) but has a 3.30 ERA over his last 10 starts with a 4.75 strikeout-to-walk ratio and 11.4 strikeouts per nine innings. If the Yankees are going to return to contention next year, they’re going to need a healthy and effective Pineda to do it. The underside of any major league roster is populated by fungible assets, and New York certainly has its share of off-season non-tender candidates in utilityman Dustin Ackley (out for the season following shoulder surgery), outfielder Aaron Hicks, catcher Austin Romine and righty reliever Anthony Swarzak, the last three of whom will be arbitration-eligible for the first time in January. Rookies Richard Bleier (a 29-year-old lefthanded pitcher) and Ronald Torreyes (a 23-year-old utilityman now with his seventh organization) are spare parts. Veteran pitcher Adam Warren, the swingman whom New York traded to get Castro last off-season and got back from the Cubs in the Chapman deal, could fit that bill as well if the Yankees can't straighten him out over the remainder of the season. If New York executes the above plan to its fullest extent, it will open 2016 relying heavily on its own young prospects. That means getting Greg Bird back from a season lost to a torn shoulder labrum to replace Teixeira at first base, installing Sanchez at catcher and fellow top prospect Aaron Judge in rightfield and restoring Luis Severino to the starting rotation. If Refsnyder can stick at third base, that’s all the better. The Yankees need to spend the winter finding a middle-of-the-order bat to play leftfield (perhaps stealing Yoenis Cespedes from the Mets via free agency), a starting pitcher or two to take the pressure off Severino and to make Sabathia expendable, and fleshing out the bullpen behind Miller and Betances. All of that makes it all the more important to use the remainder of the season to find out what they have in Refsnyder and righthanded starters Chad Green and Luis Cessa, all of whom should get extended major league exposure (and would, under this plan). Of course, a fire-sale of that magnitude is extremely unlikely to happen. Just because it won’t doesn’t mean that it shouldn’t, however, and the Aug. 1 trade deadline isn't necessarily an obstacle. Most of the trade candidates above would likely slip through waivers and could be dealt in August if it takes New York's brass that long to come to terms with the reality of the current season. Simply put, the Yankees have too many subpar and/or aging players. They may not necessarily be a better team with the youth movement detailed above, but they will have a higher upside both for the 2017 season and, via the players acquired in these trades, beyond. The Henderson trade didn't lay the foundation for future success, but it did serve notice that after years of unmet expectations, the organization needed a new direction. The same can be said of the current Yankees, and the moves outlined here suggest a way to make that change, quickly and efficiently without reliving those lost years of the early 1990s. There’s no guarantee that the improvement would be immediate, but as currently constructed, the Yankees are no closer to their 28th World Series title than the 1989 Yankees were to their 23rd. They can continue to spin their wheels as an also-ran mediocrity, delaying a larger rebuild, or they can get proactive and sacrifice the remainder of this season in the hope of building a younger, more cost-effective and ultimately better team around their current core in the short term. The choice is clear.